These interesting facts about the human body give you random and interesting bits of information about your body that you may not have known. Read on to learn more. 1. 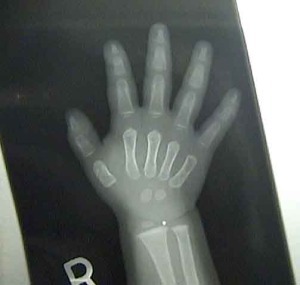 Babies have more bones than adults. A baby starts its life with 300 bones, but because some of the bones fuse together when growing, this number is reduced to 206 by the time they reach adulthood. 2. A human nose can remember up to 50,000 different smells. 3. If all of the blood vessels of a human brain were stretched end to end, they would extend about 100,000 miles long. 4. It takes more than 7,000,000,000,000,000,000,000,000,000 atoms to make up a human body. 5. An average person will produce more than 25,000 quarts of saliva in their lifetime. This is enough to fill up two Olympic-size swimming pools. 6. 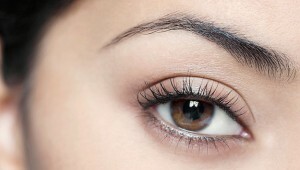 The human body is home to millions of microscopic mites that live in human eyebrows and eyelashes. 7. An average human sneeze can launch mucus at speeds of up to 40 miles per hour. 8. A single strand of human hair is strong enough to hold 3 oz of weight, while a whole head’s worth of hair can support up to 12 tonnes. 9. It is impossible to tickle yourself because the cerebellum in the brain doesn’t perceive the sensation as fear. 10. Snoring can be deafening, as some snoring has been recorded at more than 80dB; 15 dB higher than the maximum noise threshold that can be tolerated by the human body. 11. The source of body odor is sweat. Many people tend to sweat from their feet, which have 500,000 sweat glands and can produce more than a pint of sweat every day. 12. The human eye is so sensitive that if the Earth were flat, you could spot a candle flickering from up to 30 miles away during the night. 13. Scientists have proved that the human brain can trick your body into thinking it has reached its physical limits even though it has not. This is to protect important ligaments and bones from being overworked. 14. Humans used to practice persistence hunting, which entailed running, walking, and tracking prey until it died from exhaustion. Humans can sweat to reduce body heat, while their prey would have to slow down to pant. 15. Falling in love causes the human body to release the same hormones and neurotransmitters that are released by amphetamines. 16. 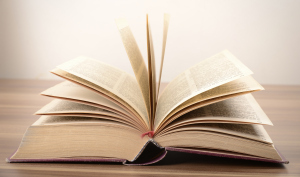 The human brain is capable of reading up to 1,000 words per minute. 17. The average person blinks so frequently that our eyes are closed for roughly 10% of our life. 18. Scientists have proved that the human brain can trick your body into thinking it has reached its physical limits even though it has not. This is to protect important ligaments and bones from being overworked. 19. If the human eye were a camera it would have 576 megapixels. 20. Music has an affect on the quality of a workout. Scientists have found that music that has a tempo between 120 and 140 beats per minute will give you the best motivation and focus during a workout. If you liked these interesting facts about the human body, check out our other lists for more facts! Facts Area Copyright © 2019.